Welcome to the sun and fun of a Caribbean Summer Vacation. Swim, snorkel and sunbathe the day away on pristine beaches. And at night, dance, dine and drink with your best Diva friends. You’ll stay at a fantastic resort with a fitness center and aqua gym on premises. You’ll dine in style at a range of restaurants and try your luck at a casino. Evening programs and 24-hour-access to many amenities make this a trip for adults who want some adult time to decompress or party. The choice is yours and we can’t wait to see you! This spectacular family-friendly resort has everything you need for a truly memorable vacation! With a full 1,500 feet of white, powdery beachfront, guests have plenty of space for relaxing beneath the hot tropical sun before plunging into the shimmering waters of the turquoise Caribbean. The hotel is conveniently located nine miles from Queen Beatrix International Airport. Step into any one of the hotel rooms or suites at the Hilton Aruba Caribbean Resort & Casino and feel the warmth of tropical charm and comfort. The lavishly appointed guest rooms feature Caribbean touches, including spacious balconies or private patios with teakwood furniture. 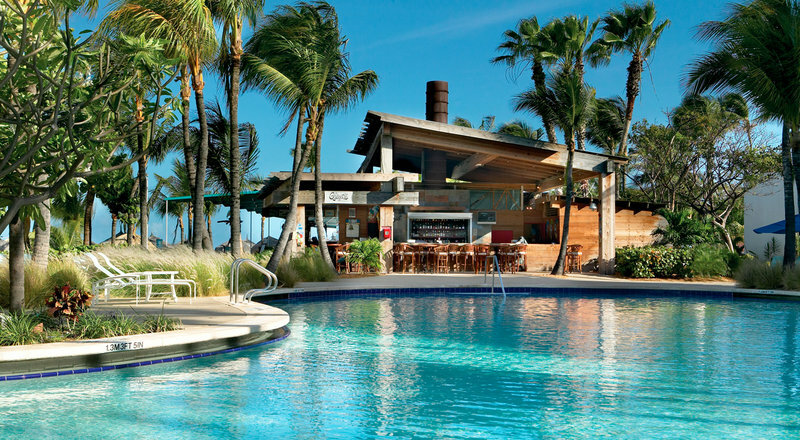 At the Hilton Aruba Caribbean Resort & Casino, the epicurean artisans masterfully infuse the distinctive tastes of the islands into savory feasts for the eyes and palate. The hotel’s award-winning dining options offer everything from casual fare to fresh seafood and steaks. The facilities and services at Hilton Aruba Caribbean Resort & Casino are perfect for those guests who need to relax and rejuvenate. Enjoy a soothing massage at the Larimar Spa, which features a state-of-the-art fitness center and a full-service salon. Lounge beside one of our two zero-entry swimming pools and whirlpools. If you’re in search of a more exciting vacation, then visit the water sports center, with a five-star PADI dive facility and sunset sailing, or spend the evening in the 16,000-square-foot casino. Families will enjoy the popular Discover Your Family Time program, which offers a full array of complimentary activities for guests from June through mid-September. 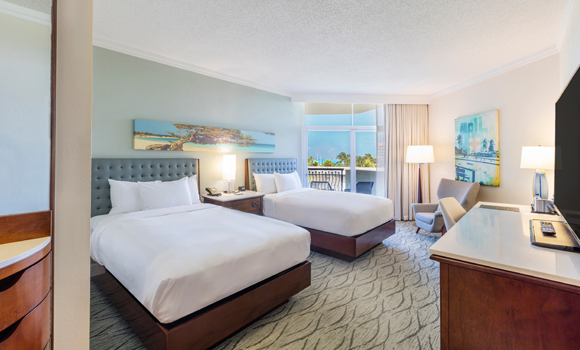 Conveniently located near a number of key local attractions, the Hilton Aruba Caribbean Resort & Casino provides its guests an ideal setting for family vacations, romantic excursions, and Caribbean honeymoons. A view of the lush tropical gardens. Private balconies or patios are furnished with seating, perfect for early morning coffee. Each of our guest rooms also offer one king bed or two double beds, an inviting bathtub and shower and an LCD TV with premium channels. 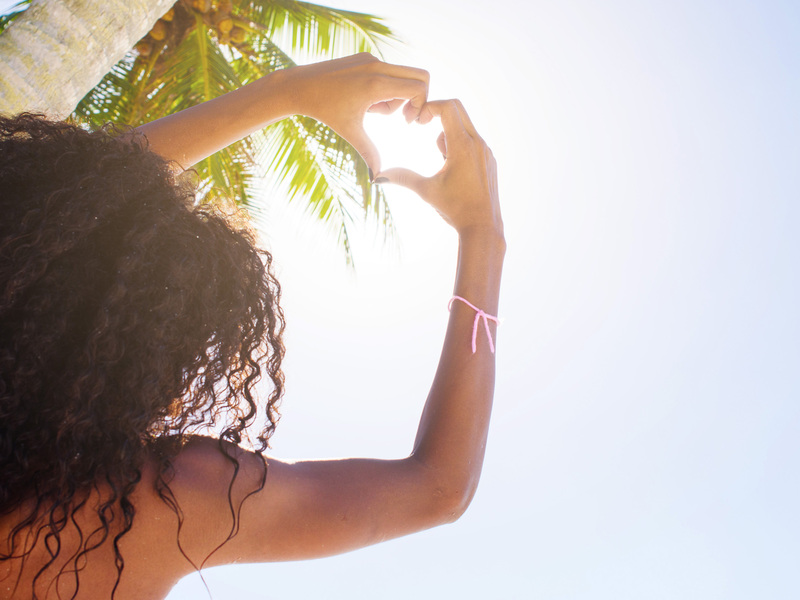 Traveling to Aruba requires a passport valid for six months beyond your travel dates. Please take a look at your passport right now to be sure it does not expire soon. Refunds will not be provided for expired passports. When making your reservations, you can choose to pay in full or select our convenient payment plan. If you select a payment plan, you will automatically be added to our automatic monthly payment plan option. You can opt-out of this program by emailing us at info@thetraveldivas.com. Please review our Auto Payment Plan Option. Provided full payment is received no later than your Final Payment Due date, travel documents, itineraries and travel instructions will be sent via email 30 days or earlier prior to travel. Please be mindful that we suggest and recommend all attendees should arrive into Aruba on June 20, 2019, before 4 pm. Men and children are welcome to attend this event at the same price. You MUST purchase your own flight to Aruba before April 15, 2019. This resort is about 35 minutes from Aruba International Airport. This is NOT an all-inclusive resort. All payments to Premier Travel One d/b/a Travel Divas are non refundable and non-transferable. This is because Premier Travel One d/b/a Travel Divas has contractual agreements with hotels and other vendors that will not allow us to obtain any refunds. This way we can keep our package prices low and allow you to make monthly payments on your vacation. Your selected roommate(s) should make their reservations within 30 days of your reservation. If not, your reservations will be adjusted to currency occupancy and price will change. You can login to our client portalto view your account and reservations 24 hours a day. Name changes are allowed with a $50 name change fee up until the final payment date and $100 after final payment date. Late payment of $100 per person is required after the final due date listed on your payment plan. Late payment fees are automatically added to your reservations the day after your final due date.